The miner's strike of 1984 resulted in the then nearly new Class 58s suddenly finding there intended role of hauling heavy coal trains had suddenly stopped. Therefore the class were used on other freight services, such as Speedlink and freightliners. 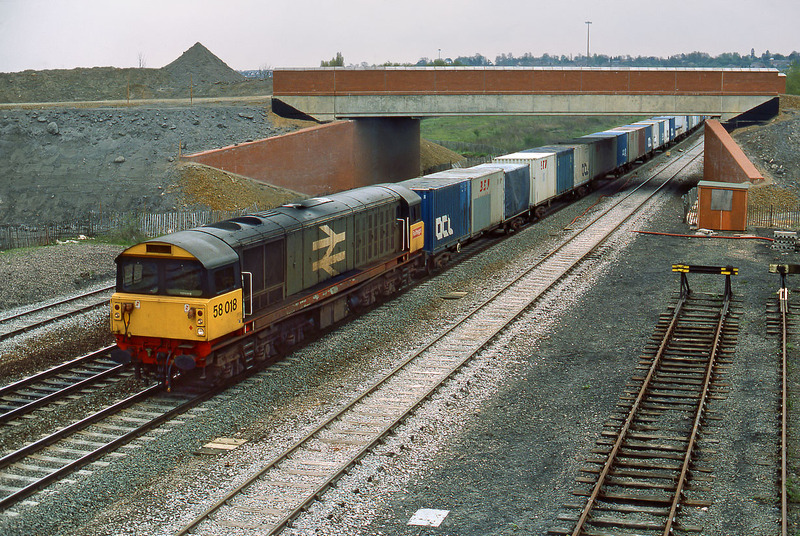 On 4 May 1985, shortly after the strike had ended, 58018 passes under the partially completed Hennef Way Banbury bypass with the 4M60 12:20 Southampton to Lawley Street freightliner.